Notre Dame Cathedral, The Reunification Palace, The Central Post Office or Ben Thanh Market, all recall the name Saigon, or Ho Chi Minh City, the busiest and largest city locating in the south of Vietnam. These are the iconic symbols of Saigon whenever visitors come to travel. 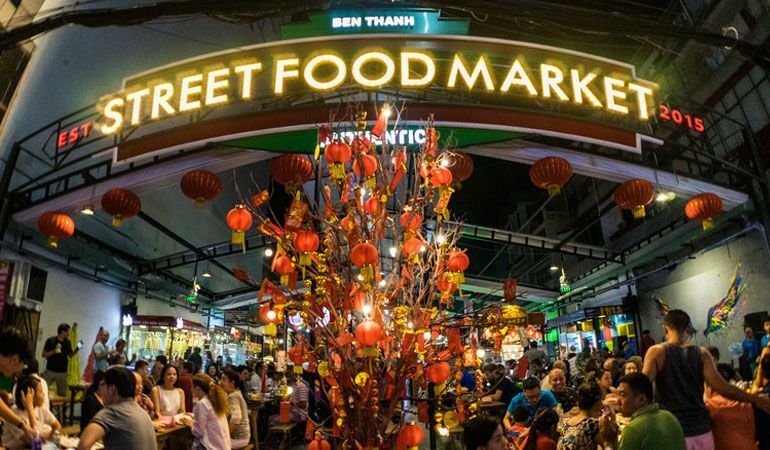 Among them, Ben Thanh Night Market is considered the most popular of all the markets that it is so well known to tourists thanks to its central location in the heart of Saigon. It’s crowded, it’s bustling and it’s a truly amazing experience walking at the night market that you should not ever ignore. First operating in 1914 and still existing till the present, Ben Thanh Market is one of the oldest markets in Saigon. This market is such a magnificent and significant site not only because it is where daily selling and trading activities take place but it is also like a witness of all the historical events happening during nearly 100 years. 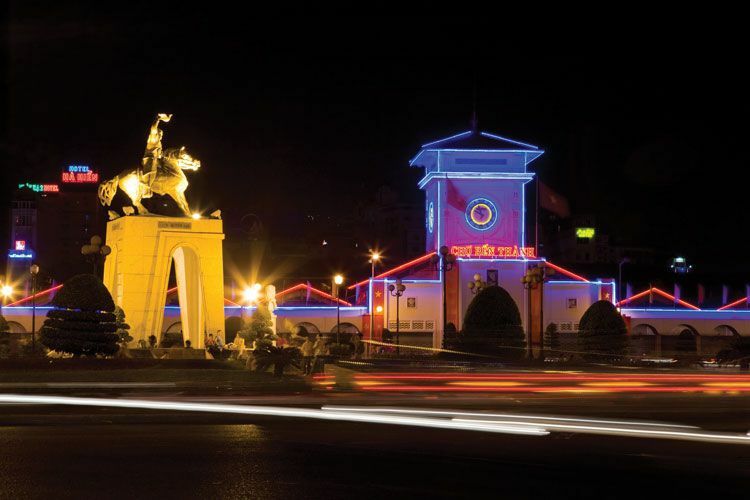 Through wars and years of construction, Ben Thanh has been modified and improved, but its structure and architectural style is still preserved, making it a typical example of the combination of ancient and modern Saigon. Shopping at Ben Thanh Night Market, you can find numerous types of items, including clothing, footwear, jewelry to special Vietnamese dishes and food. Ben Thanh Night Market is also crowded and exciting as it is in daytime. When the dark falls down, it is time for people to prepare for selling. After 6:00 pm, they mount their street stalls and shelves outside of Ben Thanh Market and the remaining activities are still proceed with action at the entrance gates. Ben Thanh Night Market is another aspect of the scene that has turned out to be progressively prevalent for the city’s citizenry as well as travelers. Numerous business people set up their tents on the two sides of Ben Thanh Market when the city illuminates at the night, which means they are getting ready for business during the evening. At 6:00 pm, they close the two avenues at the West and the East doors of Ben Thanh Market to clear a path for the night merchants. Just motorbikes are permitted to cross through the market. Every items and things in the open air night advertise are various and bounteous for a night excursion in spite of the humble number of the stalls there. If you still have nothing to eat for dinner, then the market is an ideal place for you to fulfill your stomach with reasonable budget. You can enjoy many specialties of the South, the Central and even the North of Vietnam. Everybody will be interested in hot dishes of noodles decorated with conventional herbs and vegetables. Visitors may spot Bun Cha or Pho, flavorful noodle dishes from Hanoi, Banh Nam, minimal steamed cakes in banana leaf from Hue, or Banh Xeo, firm rice flapjacks from the Mekong Delta, and additionally a lot of different indulgences. Moreover, sightseers can arrange delightful fresh grilled fish. Numerous travelers frequently stop in the barbecue food stall. The vast majority of them think that it is fascinating to try beef barbecued in a tile over a little coal cooker, releasing the aroma of sizzling flame broiled meat. If you do not have any desire to cook, you can pick instant grill, for example, marinated pork or fish. Another interesting thing about Ben Thanh Night Market is that you can stand at the food stall watching the chef cooking the food for you and eat right after then. Despite being just a night food court on an under 200-meter road, the food is still fresh, clean and hygienic. 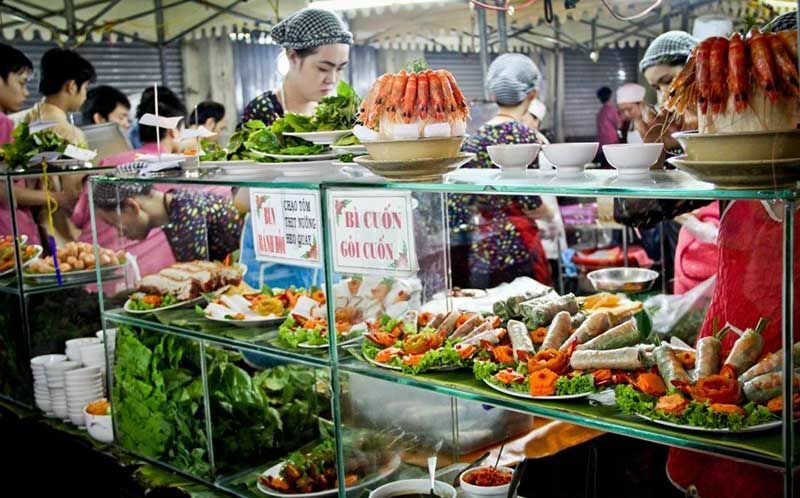 Especially, you will not feel confused when having to order food because most of the stalls there offer their menus, both in Vietnamese and English in order to simplify the request from the buyers. You can take a trip through all of the stalls and then decides which suit you best. Then just take a meal! Food is a highlight aspect of Ben Thanh Night Market. Besides, after fulfilling your stomach, you can shop around the market for shoes, clothing, stone jewelry and souvenirs before purchasing anything as a gift for your family and friends when going back home. Having to say, night markets are one of the cultural features of Vietnam. 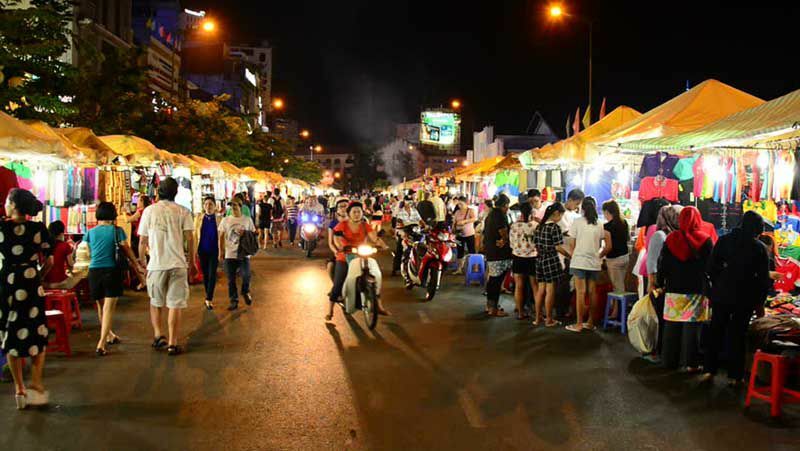 Night markets offer an awesome view for tourists abroad as well as local people to comprehend the way of life in Saigon in particular and in Vietnam in general. 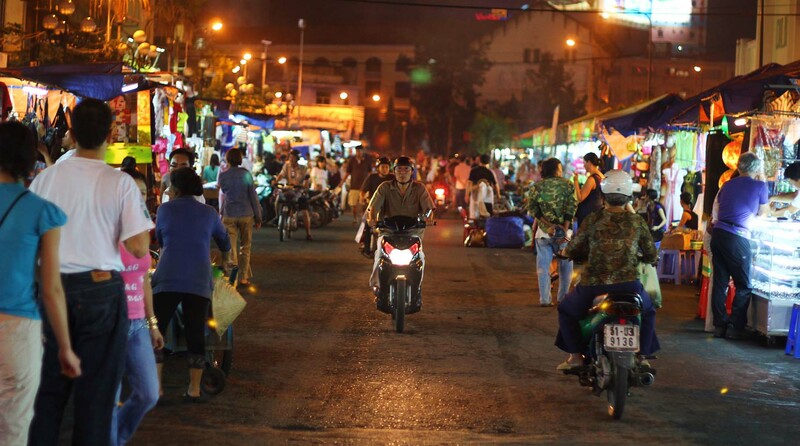 Ben Thanh Night Market around evening time can give you an intriguing opportunity to encounter completely the nearby life and culture during your Vietnam revelation visit.